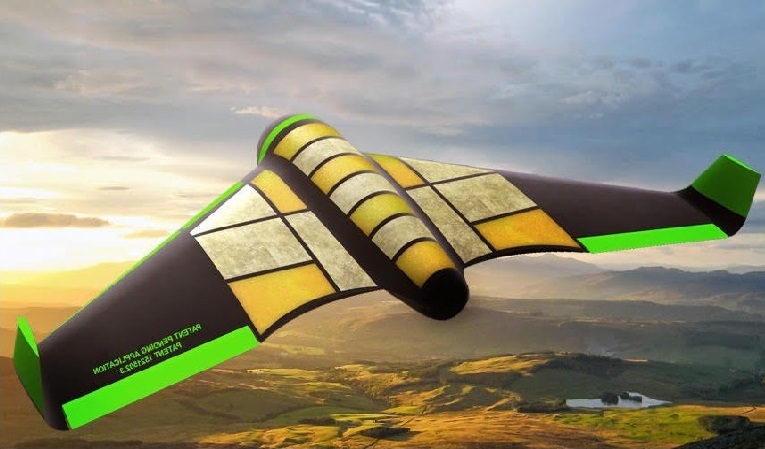 After selling the Ascenta (now Aquila) drone to Facebook for $20 million in 2014, ex-British Army veteran Nigel Gifford now wants to revolutionize the $28 billion humanitarian aid delivery market with a relatively inexpensive, disposable, and potentially entirely edible drone. (see News Story from 2015). As he sums up, ”When the sh*t hits the fan, and you can’t get food or supplies to people for days or weeks, that’s where we can get in with Pouncer.” He gives the the 2014 Nepalese earthquake as an ideal example of when to use the Pouncer — villages at high altitude in the Himalayas were cut off from supplies for weeks because of difficult conditions, but the Pouncer could have taken supplies in with no problem. The idea is that these drones are to be deployed in numbers from a Hercules C-130 transport aircraft flying around 25,000ft. The Pouncer would be filled to the brim with vacuum-packed food and medical supplies and delivered to difficult-to-access areas of need. On deployment, an on-board navigation system would guide the Pouncer to head towards the target area, pretty much the same as a skydiver wearing a wingsuit. Right before landing, a small parachute is deployed at low altitude, and delivers the Pouncer to the specified target with precision. With the ability to be deployed from range and altitude, the Pouncer is less affected by weather conditions than traditional parachute deliveries and keeps pilots of the transport aircraft carrying the Pouncer vehicles out of danger zones, too.